Ladders can be dangerous. Using proper techniques and adhering to safe practices significantly reduces the risk. 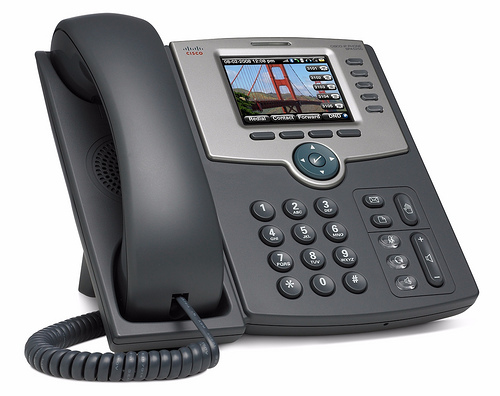 The phone is ringing... Is it good news or bad news? In the course of running a small business, each day has it’s ups and downs. A customer calls to say thank you and tip your employees. Another customer owes you money, rudely hangs up on you and refuses to pay. One employee completes a job flawlessly and quickly. Another one loses his equipment and forgets to complete his paperwork. That large check finally arrives in the mail. The rent is due and the van needs new tires. As a business owner you get used to these normal highs and lows, learn how to manage your expectations, make it to the next day and do it all again. John, there’s been an accident. The day started off just like any other Monday. The cleaners arrived at 7am and began readying their equipment and picking up work orders. I brought in donuts to celebrate our lead cleaner Josh’s 48th birthday. We all sang to him, had some fun and talked about his birthday plans. Josh requested a light workload and early finish because he and his wife were meeting friends and family at his favorite restaurant, Red Lobster. Not an issue. Today, he would be training one of our newest cleaners, Juanito, and I’d assigned to them some smaller route work and then scheduled them to finish with a larger job at a nearby hotel. It should be an easy day, they should be done by 1:30pm and Josh will be eating lobster by 5pm. Before becoming a window cleaner, Josh was a painter and had always worked on ladders. 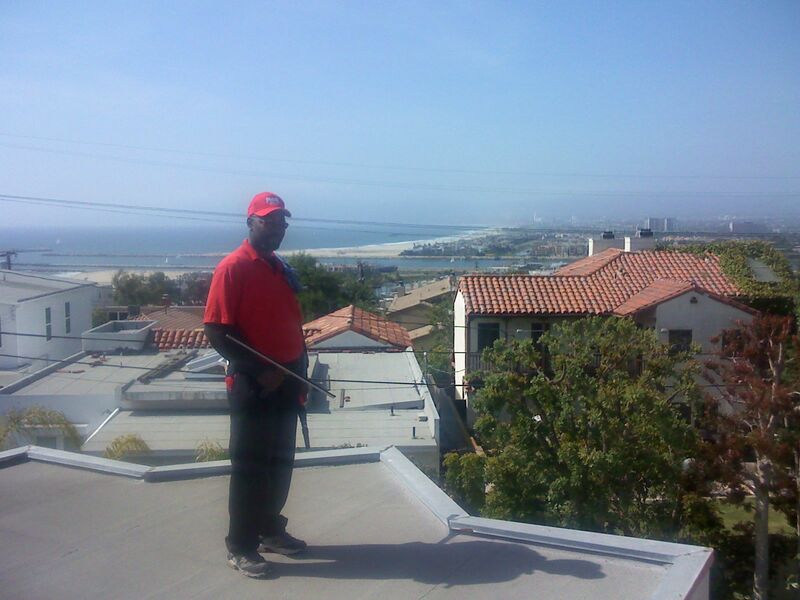 Even though he’d had years of experience, we trained him on proper ladder techniques and usage when he was hired. Also, during our weekly safety meetings we continually review proper techniques, discuss ladder usage and administer quizzes to make sure each cleaner understands the material and our commitment to working safely. The guys leave the office at 7:30am and the normal ups and down begin. 5 hours later, I get the call. It’s a shaken Juanito, telling me that Josh has had an accident. Josh was using a ladder, he fell about 10 feet and severely broke his ankle. By the time I got to the hotel, Josh had already been rushed to the hospital and I asked Juanito about the incident. He informed me that Josh had not used the proper ladder angle and it slipped out from under him. I was finally able to see Josh about 5pm and it was not to share a lobster dinner. He’d been in 2 hours of surgery, was now recovering and I met his wife for the first time. He’s the one in an emergency room with a broken ankle and he’s telling me he’s sorry? I begin to tear up too, we discuss what happened and start the healing process together. 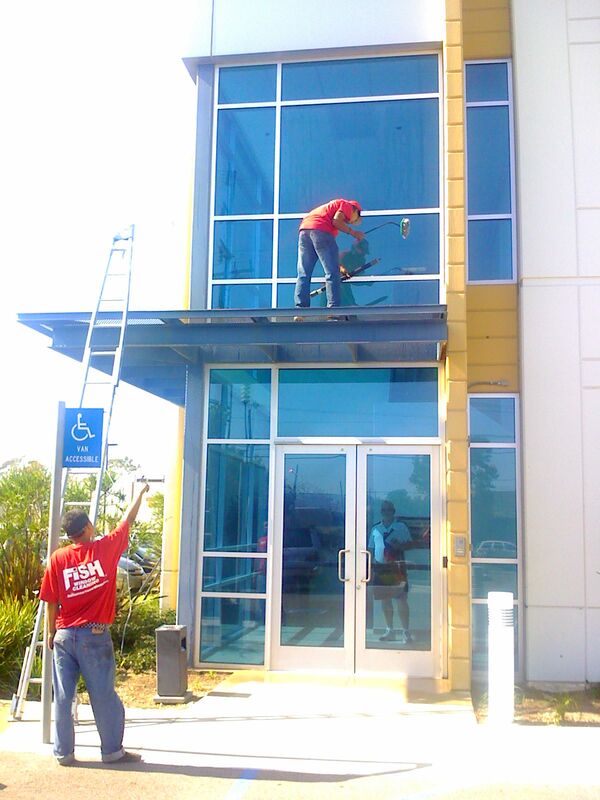 Last November, 2.5 years after his accident, we cleaned the windows at Josh’s home. He’s had 4 additional surgeries, walks with a cane and will never regain full ankle mobility. Our Worker’s Compensation insurance has paid for all of his medical needs, but Josh will never work again. It was bad. I probably would have closed our business if something worse had happened. I try not to think about the “what ifs”. What I do focus on: This accident was avoidable. We constantly train on safety issues and employees are always reminded to follow the proper techniques and OSHA safety regulations. Employees understand that anyone not adhering to OSHA safety regulations will be written up and are subject to termination. We also instruct our employees to use common sense and listen to their inner voice: If they ever don’t feel safe performing a task, simply don’t do it. We’ll find another way. Josh is experienced with ladders and received proper training. He knows our policies and he, like everyone, does not want to be injured on the job. So, what was the real cause of his accident? Mild distraction with an eye towards the day’s end. Over confidence in personal ladder experience. A momentary lapse in judgement. Correct Answer: #4 – All of the Above. a) He was looking forward to his birthday dinner and wanted to finish the job quickly. b) Instead of going to his truck and getting a smaller section of ladder to properly lean it at the correct angle, he used an unsafe technique that he’d successfully “gotten away with” previously. c) He climbed a ladder he knows was not properly set. These decisions and series of events took just a couple of seconds. With a little caution, application of his training and some common sense, Josh would have eaten his lobster dinner and would still be working for my company. Instead, his “All of the Above” decisions caused an accident, and now he can no longer work. Safety regulations are necessary and designed to keep you injury free. At work or at home, remind everyone you know to be vigilant about safety. Life is too precious to take unnecessary risks. For every 4 feet of ladder, the base must be 1 foot away from the building. This is commonly known as the 1/4 rule. 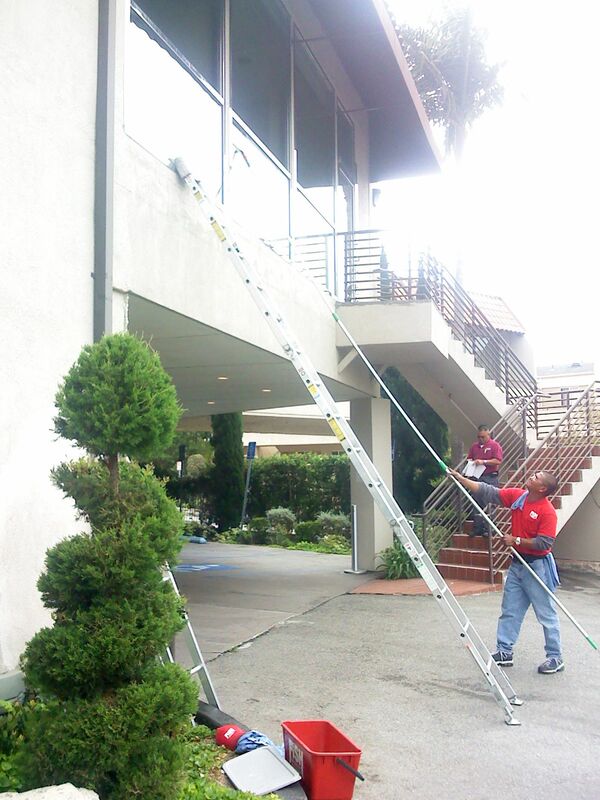 Inspect every ladder prior to every use. Do not use ladders with structural defects; properly tag with “Do Not Use” and withdraw from service. Carry ladders parallel to the ground. Tie ladders down securely when transporting. 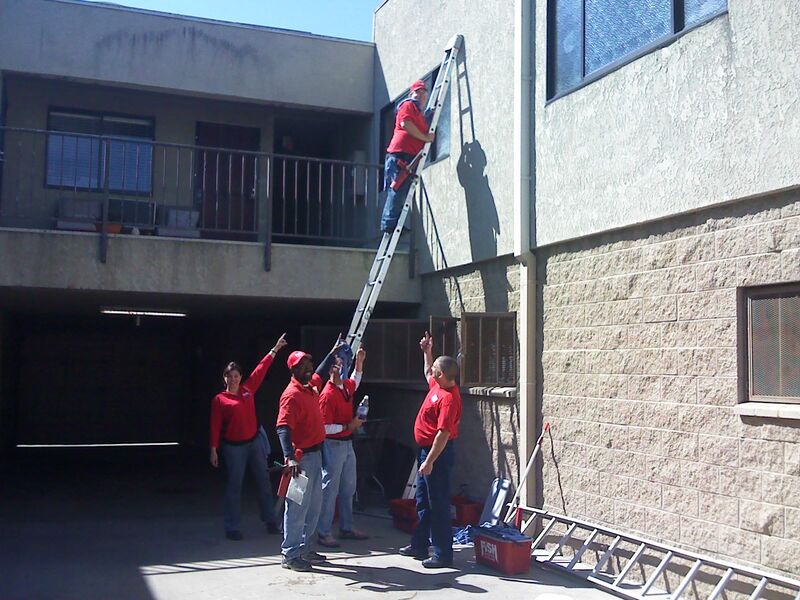 Keep ladders free of oil, grease and other hazards. Do not load ladder beyond maximum intended load. Use only for the purpose for which the ladder was designed (refer to manufacturer’s labeling and recommendations). Barricade traffic areas in vicinity of ladder use. Lock, barricade or guard doorways in which a ladder is placed. Keep area around the top and bottom of ladder clear. Use only non-conductive side rails around live electrical equipment. Do not use top or top step for standing/stepping. Do not stand on cross bracing. Always maintain three points of contact with the ladder (two feet/one hand or two hands/one foot should be in contact with ladder at all times). Carry tools in pouches around waist; use a rope to raise or lower large items such as tool boxes or materials. Do not overextend sideways. Use the belt buckle rule: keep your belt buckle positioned between the side rails at all times, which should maintain your center of gravity between the side rails. Never allow more than one worker on the ladder at a time. Wear protective clothing and rubber-soled shoes. 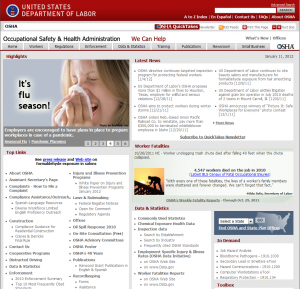 For more detailed information on ladder safety visit the OSHA website. Always Remember: “Think Safe” and Be Safe! I just received this great information from our Risk Manager, Tom Patton. Tom works for Barrett Business Services, Inc. (BBSI), our Professional Employer Organization (PEO), and helps make sure we receive up-to-date safety techniques and information, and he monitors us regularly to make sure we follow our safety training program and conform to all OSHA safety regulations. Back injuries caused by improper lifting or overexertion are among the most common of workplace injuries. Good training and frequent reminders can reduce stress factors and reduce injuries. You can never overemphasize safe lifting. In many workplaces almost every employee engages in lifting at some point during the workday. Some workers, like materials handlers, are constantly lifting and hefting heavy objects. Today, we focus on a review of the safe lifting technique, tips for safer lifting, safe carrying, and engineering and administrative controls to prevent back injuries. Position your feet a shoulder-width apart and place them as close to the object as possible. Make sure you have good footing so your feet do not slip when lifting. Squat down next to the object by bending at your knees and hips. Pull the load close to your body. When the object is close against your body, most of the weight of the object is supported vertically by your spine. However, if the load is held away from your body, then both vertical and horizontal forces are applied to your spine. Your spine cannot carry horizontal forces very well. Get a firm grip on the object. You do not want it to slip or drop. Tighten your stomach muscles to help support your back. Rise up with your legs. Lifting your chin up will help prevent your bottom from sticking out and causing you to lift with your back instead of your legs. Don’t go it alone if the load is too heavy. Get help. Maintain good lifting posture. Keep your back straight and strong at all times. Do not bend over or twist your back. If you lose grip on an object, let it fall. A little damage to a box, container, or other item is nothing compared to a back injury. Attempting to make a quick adjustment in order to hold onto or catch a slipping or falling object will likely result in some type of back injury. Before doing work that requires a lot of lifting, spend a couple of minutes stretching back, legs, and arms. Stretching at the start of each workday will is also a good idea and will improve your back’s strength and flexibility. Carrying a load properly is a key element to back safety. While many back injuries take place during the lifting phases, many are caused by improperly carrying the object. Make sure you can see where you’re going. Trying to save time by stacking objects is not worth getting injured because you can’t see clearly. Back injuries can also be caused by falling or tripping! Take small steps, and make sure your footing is stable. Be especially careful on steps, ramps, and areas with uneven surfaces. Take extra care if you are walking on slippery or wet surfaces. Even rainwater can cause a surface to become extremely slippery. Don’t twist your back when carrying a load. To turn, move your feet rather than twisting your back. If you feel the load is “getting away” from you, stop and lower it to the ground. It is far better to have to lift it again than it is to try and wrestle it while it is being carried. If you feel a load is too heavy to handle by yourself, ask for help carrying it. Encourage employees to use mechanical assist devices to relieve heavy load lifting and carrying tasks. Make sure lifting aids are readily available in areas where needed. Rotate workers through several jobs with different physical demands to reduce the stress on back and upper body. Schedule more breaks for materials handlers to allow for rest and recovery. Vary the job content to offset back stress risk factors. Adjust the work pace to relieve back stress risks and give the worker more control of the work process.